The goal in treating distal radius fractures is to restore the anatomy and to maximize the recovery of hand, wrist, and forearm function. The starting point for the diagnosis is to get accurate measures for key parameters. Today, measuring the parameters requires manual work and is subject to measurement error due to inconsistent reference points and lack of 3-dimensional measurement methods. 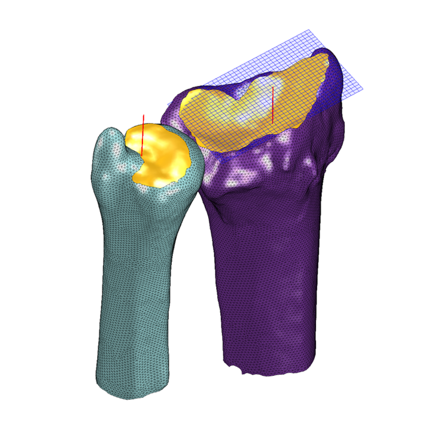 ​Disior technology takes the next step in measuring the distal radius fractures. The software algorithms track the area for you, and use pre-set values and reference points for consistent, automated measuring of key parameters. This also enables systematic data collection and analysis.